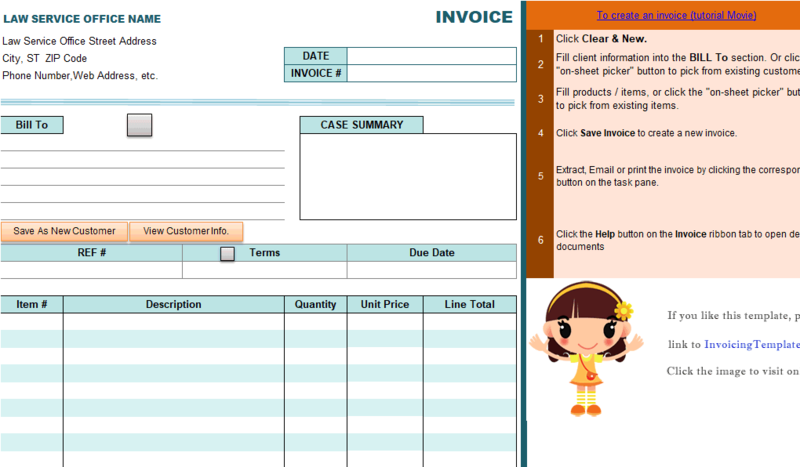 Excel Legal Invoice Template is a sub-topic of Excel Invoicing Templates . 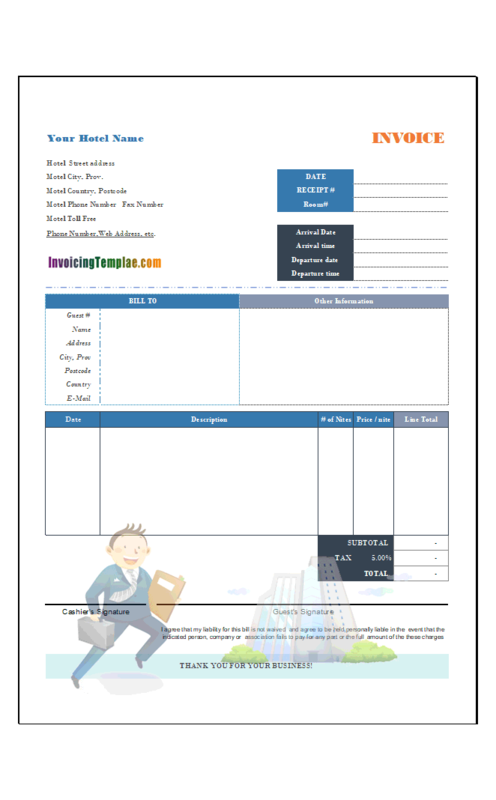 Here are our templates closely related to Excel Legal Invoice Template. 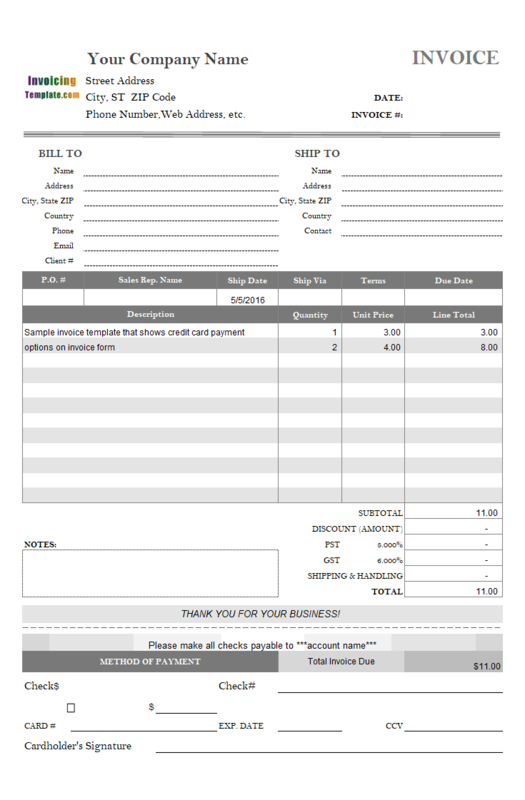 This attorney billing form provides an easy to create legal billing statement. It features with United States Dollar currency symbol, no-tax (configurable), 12 lines of details, bank details, and of course the "Bill To" section. 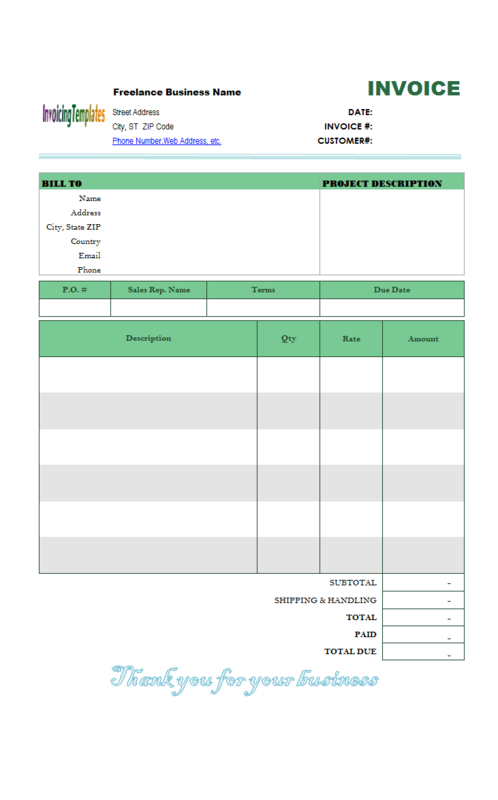 This free quotation and estimation template in Microsoft Excel ".xlsx" format provides a sample of customizing the default invoice template shipped with Invoice Manager for Excel (namely Uniform Invoice Software). It implements a special / complex discounting model to meet practical business requirements. 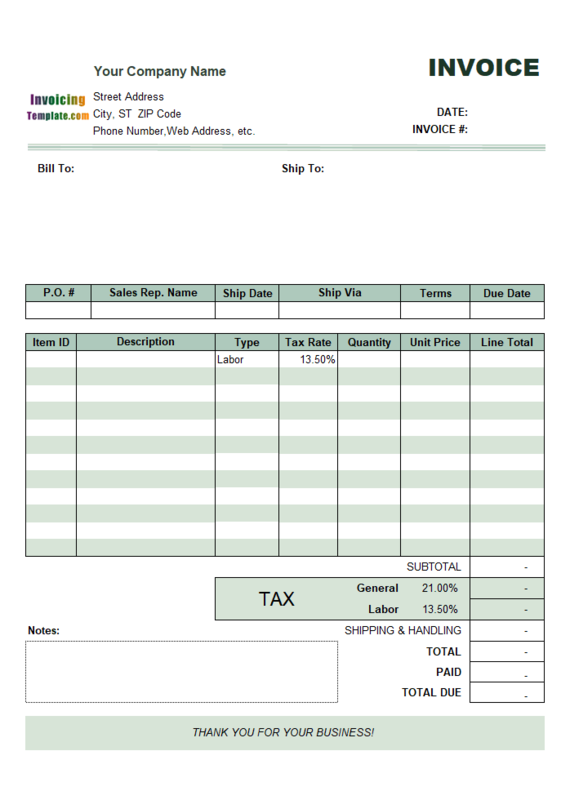 This work invoice template in Excel is designed for freelance workers who charges on an hourly basis. 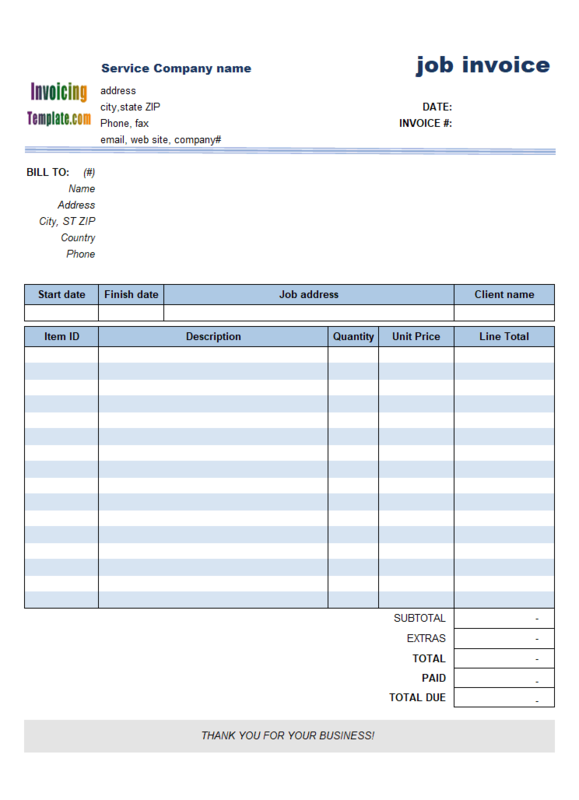 It has a word art logo that shows "WORK INVOICE", a "Work Description" section near the "Bill To" fields, and 4 columns that calculate totals using Excel formulas. 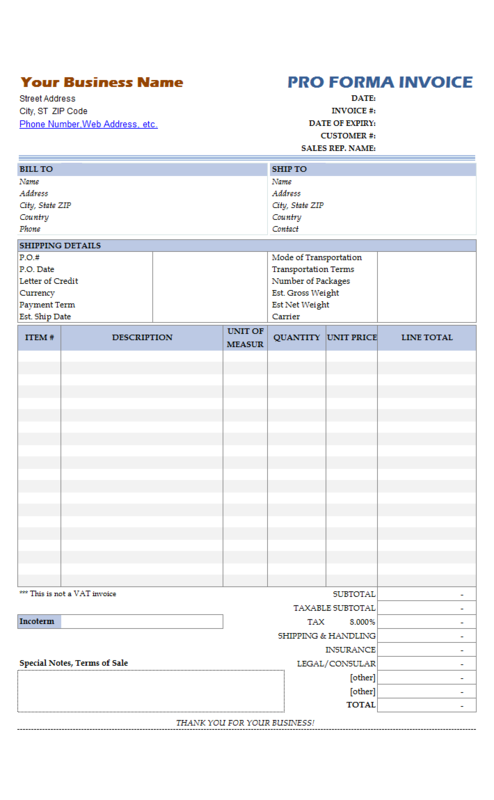 Assuming all items are taxable, we've removed all the "Taxable" checkboxes from this template. 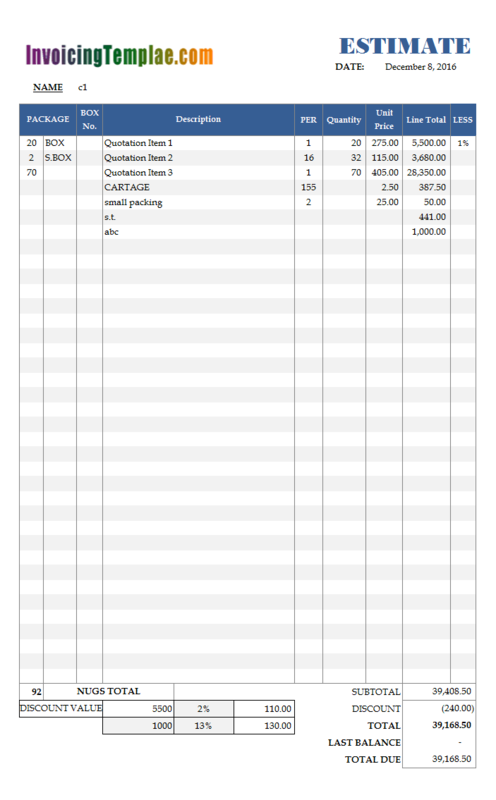 And, the formulas for calculating taxes are also changed. For example, the formula for the first tax ("State Tax") is changed as the following one. 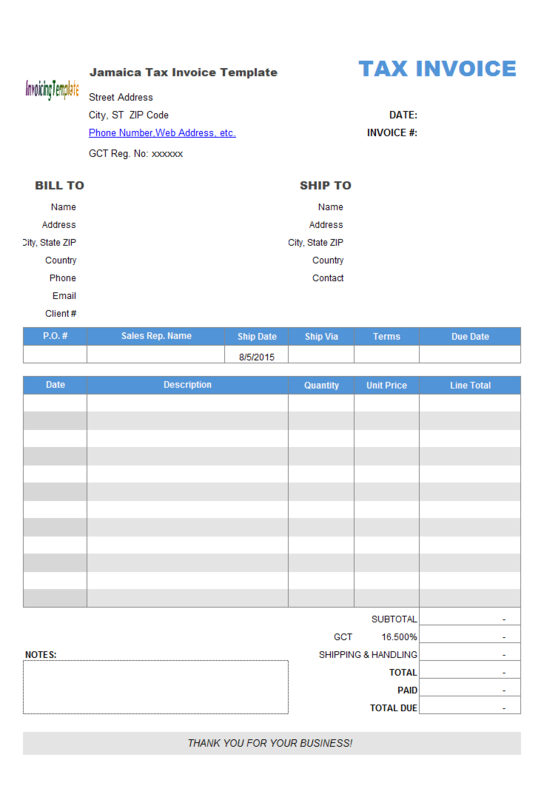 Note: This free Commercial Invoicing Template was original published on our company site, UniformSoft.com, with the ID number c7011. 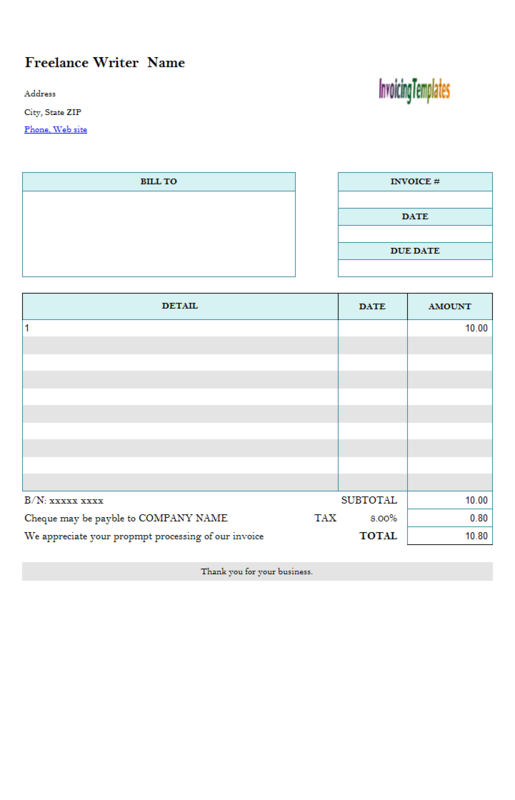 Whether you are an individual or a corporation, the commercial invoicing template helps you create professional and beautiful invoices with quick and easy. However if you are a corporation we highly recommend the Invoice Manager for Excel version. With Invoice Manager for Excel installed, the commercial invoicing form becomes a powerful invoicing system, with the ability to manager customers, products, invoices and payments. 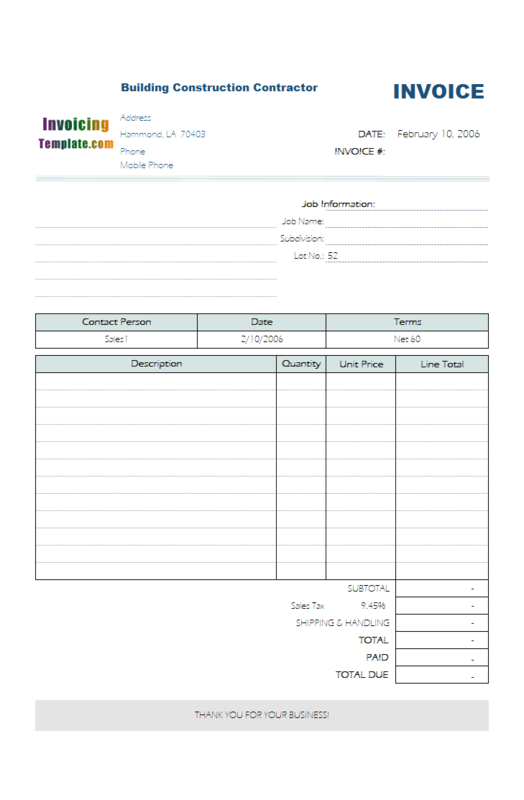 As an Excel spreadsheet template, we use Excel formulas to calculate subtotal, tax and total. For example, for the subtotal field, the Excel formula assigned to the subtotal field is "=SUM(oknLinetotal_1:oknLinetotal_22)". This is one of the big advantages of using Excel spreadsheet templates. 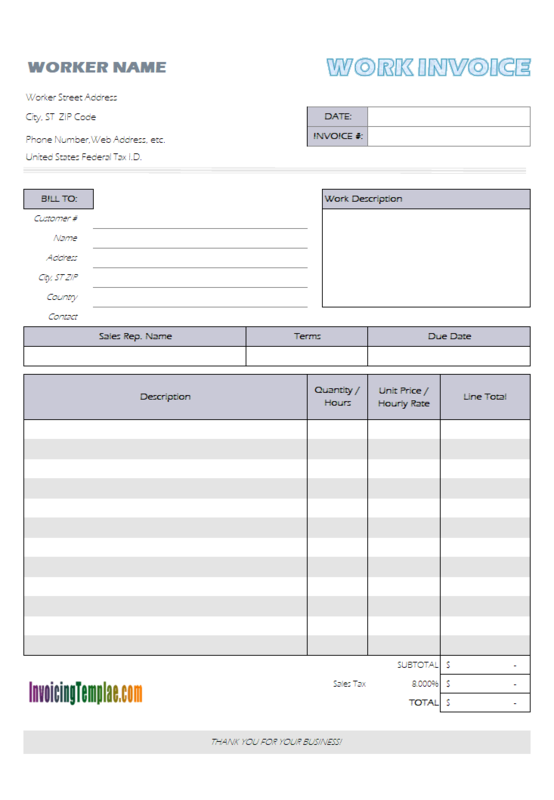 While you can create beautiful and professional forms too using Microsoft Word, Publisher, PowerPoint or even Adobe Photoshop, it is much easier when you need to do some calculations. 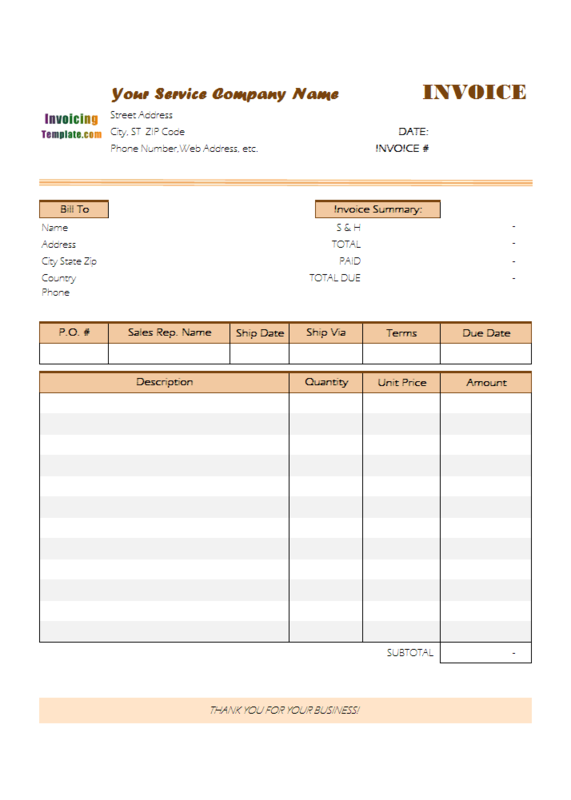 This ability, combined with custom fields (user-defined fields) supported by Invoice Manager for Excel (namely Uniform Invoice Software), resulting extremely flexible form designs, as you can see from the samples online here on InvoicingTemplate.com. 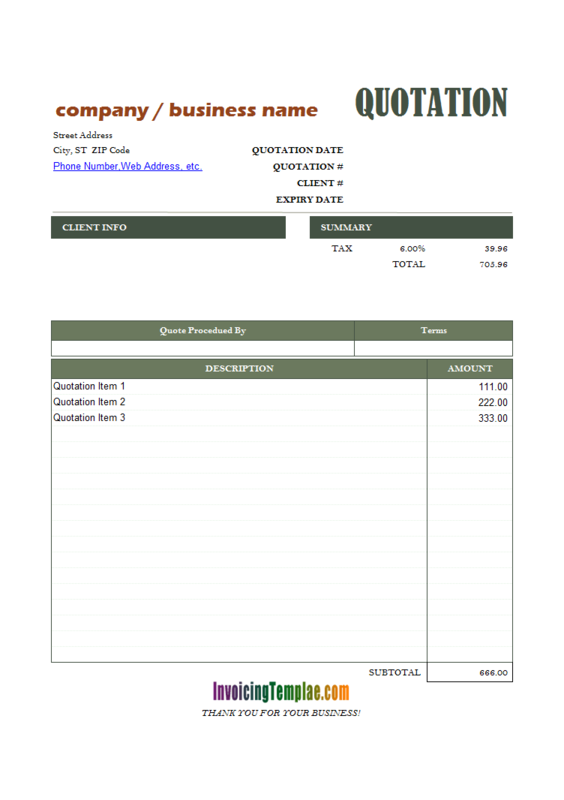 Or see the PDF quotation sample to find out what it will like when your customer receive the quotation created using UIS. 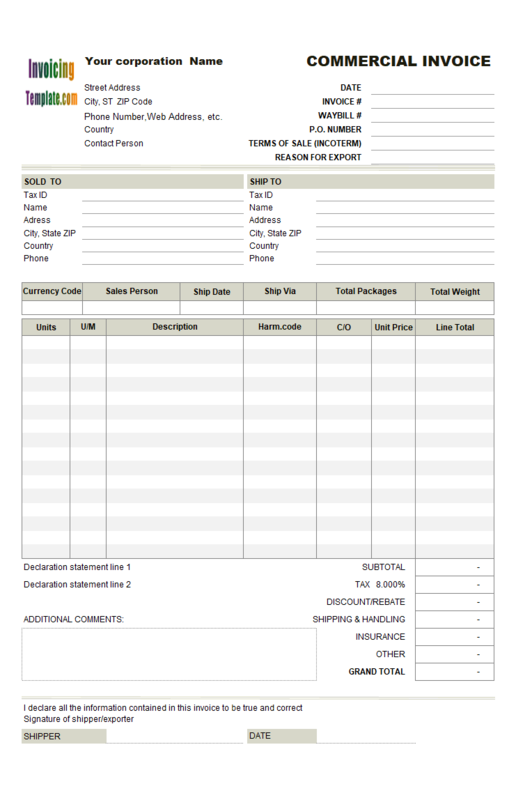 Jamaica Tax Invoice Template adheres to the requirements detailed on Tax Administration Jamaica (TAJ). It implements the auto calculation of tax - GCT, i.e. General Consumption Tax. The GCT is a value added tax which is applied on the value added to goods and services at each stage in the production and distribution chain. It is a tax on consumption and is included in the final price the consumer pays for goods and services. As a Registered Taxpayer, you must issue a tax invoice for sale made to another Registered Taxpayer. 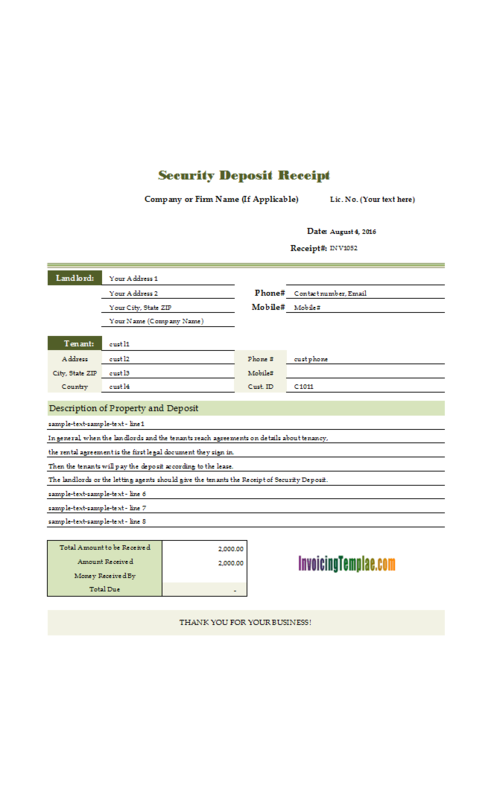 In the case of sales to other persons, you should issue an invoice or a receipt for each transaction. 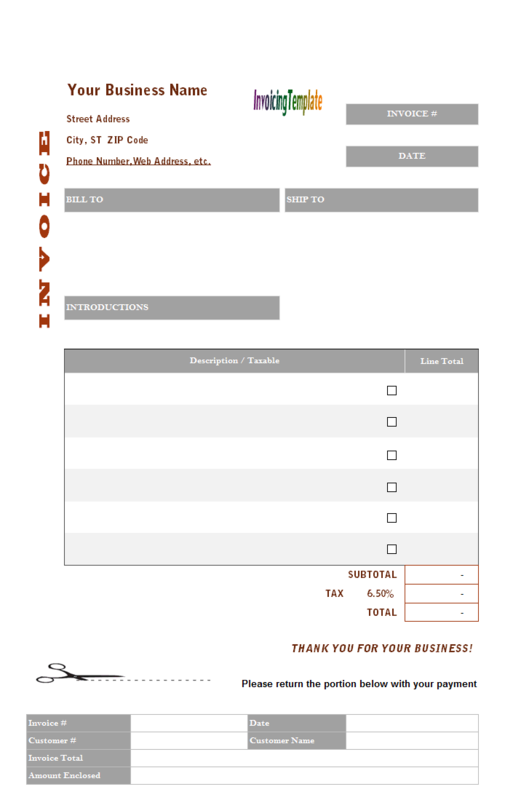 This invoice template is also published on our company site here, and on office-kit.com here. The bamboo Chinese painting picture is added as a background image which covers the whole printable form. While the form itself is still in the gray color theme, the image is in green and set to 25% opacity. This level of opacity makes sure the foreground text (black) visible even when it is on the visible background. If you are registered for VAT you must give any VAT-registered customers a VAT invoice for any standard-rated or reduced-rated goods or services you sell them. 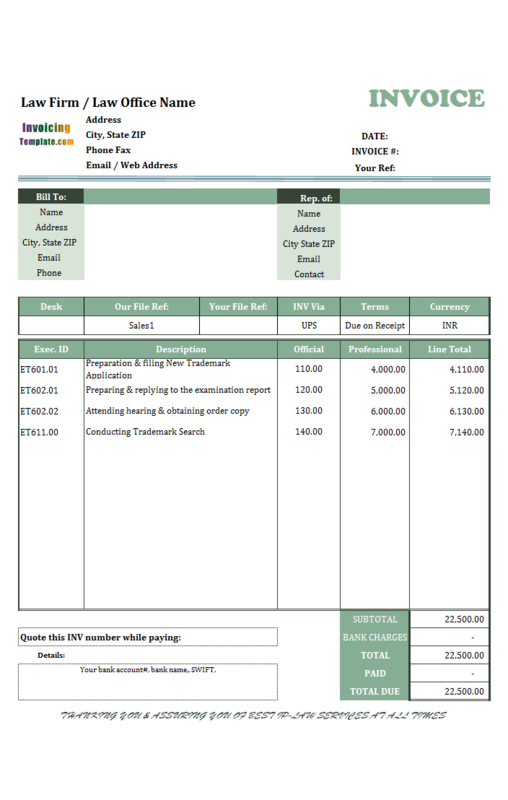 If you are a retailer, you do not need to issue a VAT invoice or receipt unless your customer asks for one. As a VAT-registered supplier, you may be liable to a fine if you do not issue a VAT invoice for a supply you have made when asked to do so by a VAT-registered customer. 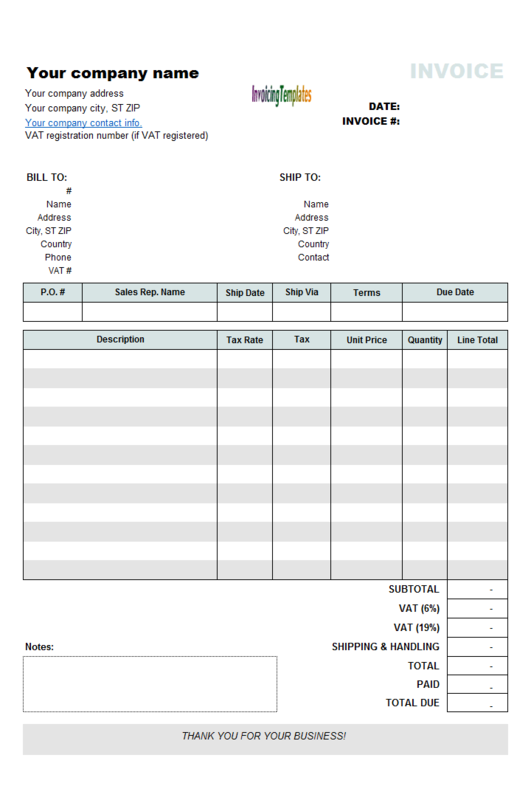 With this implementation of south Africa tax billing format, the shipping address is included on the format, so that the template is categorized as sales invoice template. 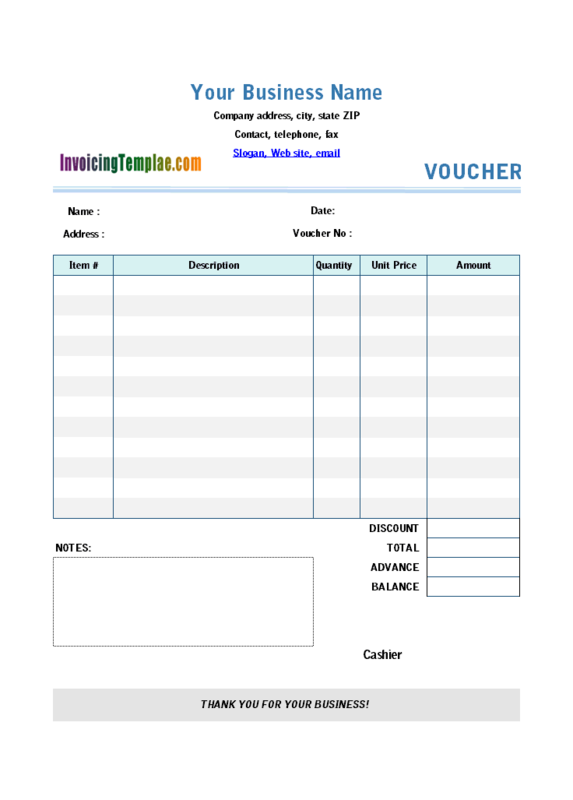 With this tax invoice template, the prices defined on the form excluding VAT, i.e. VAT is added separated. As detailed on the SARS (South African Revenue Services) site, Value-Added Tax is commonly known as VAT. VAT is an indirect tax on the consumption of goods and services in the economy. Revenue is raised for government by requiring certain businesses to register and to charge VAT on the taxable supplies of goods and services. These businesses become vendors that act as the agent for government in collecting the VAT. 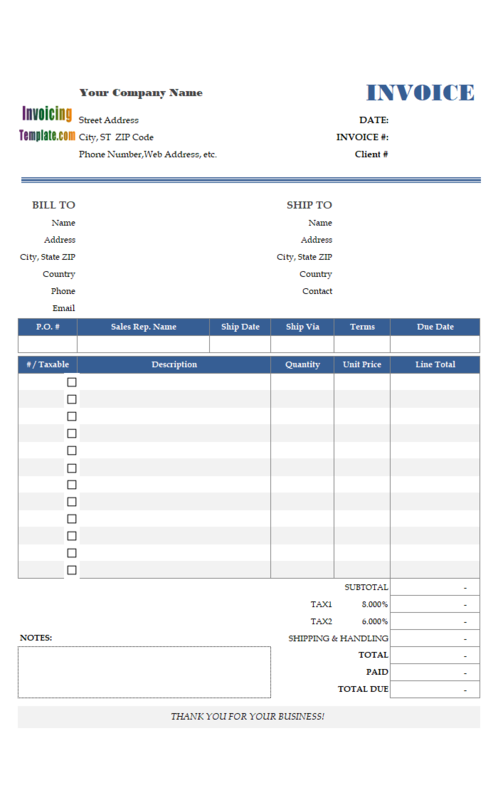 In this invoice template sample, the remittance slip mainly comprises 6 lines - one text line that says "Please return the portion below with your payment", and the other lines that retrieves its content from the invoice itself, including invoice#, customer# and customer name, invoicing date, invoice total to pay, amount enclosed (which is filled manually by the payers if they are not paying the whole amount). Between the remittance slip and the main invoice, there is a scissors cutting line, which is an image named "oknWidget_cuttingline". 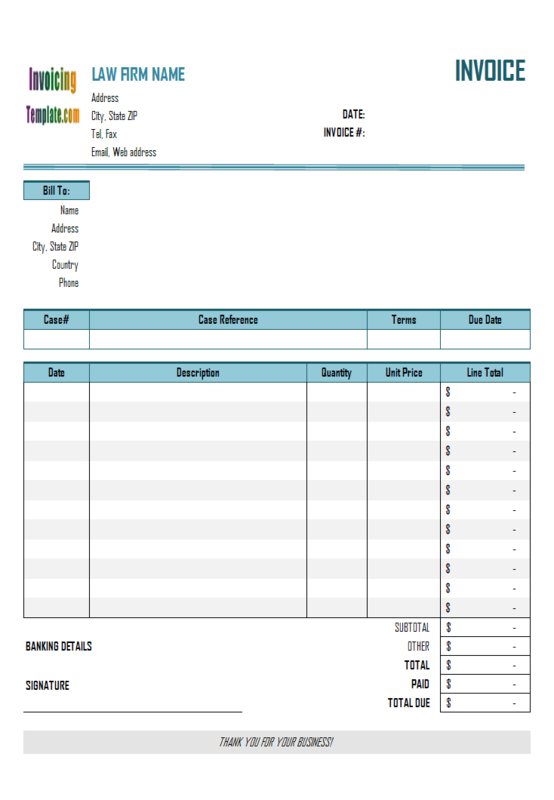 As detailed in the sample invoice template Simple Sample - Using Shape Object, if you want an image object or shape object to be included when the invoice is extracted, the object must be named with the prefix "oknWidget_". This rule applies to the default logo image too, which is usually named "oknWidget_logo" on most templates available here on InvoicingTemplate.com. 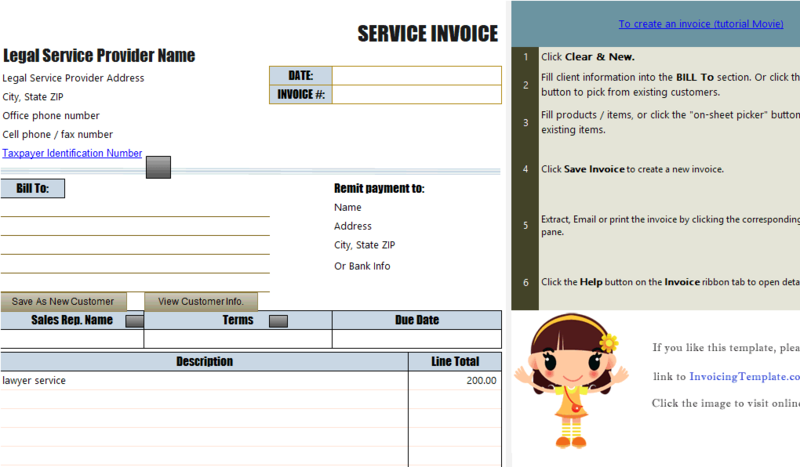 All the objects without this name prefix, such as the "Customers", "Products", "Invocies" and "Payments" command buttons, are removed when the invoice is extracted. The 5 columns on the detail section allows you to post any debit / credit regarding a room# or guest account. Usually when a folio is opened the starting balance is zero. All transactions which increase (debit) or decrease (credit) the balance of the account are recorded on the folio, for example, room charges, cash payment advance deposit, etc. For those business guests who are planning a meeting, conference or special event, related fees could be posted here too. 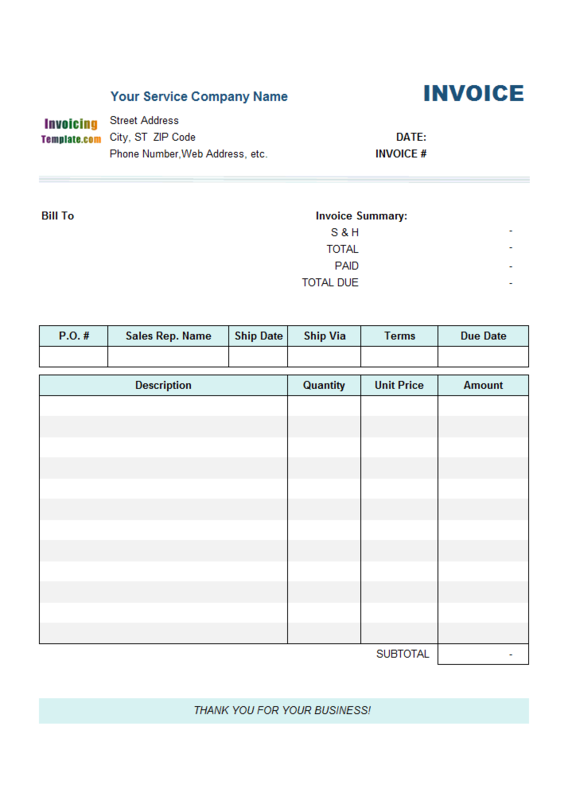 While guest settles the final bill an Invoice is generated usually with a unique Invoice number by Invoice Manager for Excel (namely Uniform Invoice Software) (UIS) for future reference. 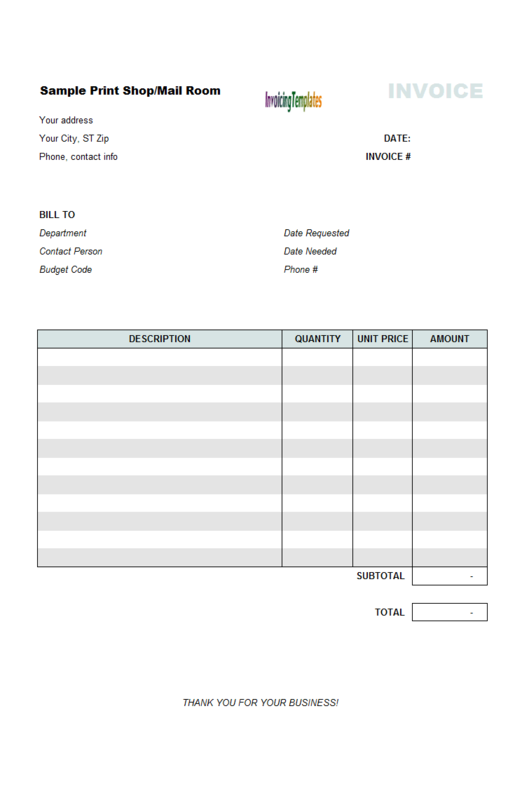 To set options for auto-generation of invoice numbers, such as prefix and starting number, click the "Settings" button on the "Invoice" ribbon tab, and then go to the "Database" tab. The detail section is itemized so you can list your charges one by one. 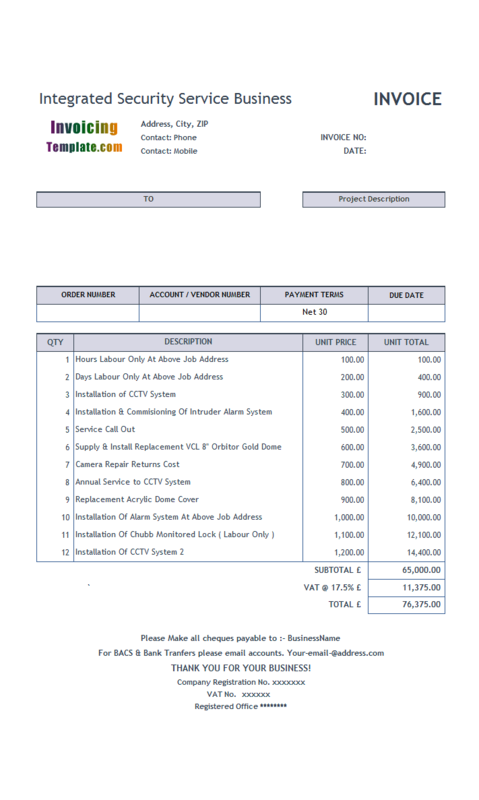 For example, "Hours Labour Only At Above Job Address", " Days Labour Only At Above Job Address", "Installation of CCTV System", "Installation & Commissioning Of Intruder Alarm System At Above Job Address", "Service Call Out", "Supply & Install Replacement VCL 8" Orbitor Gold Dome", "Camera Repair Returns Cost", "Annual Service to CCTV System", "Replacement Acrylic Dome Cover", "Installation Of Alarm System At Above Job Address", "Installation Of Chubb Monitored Lock (Labour Only )". 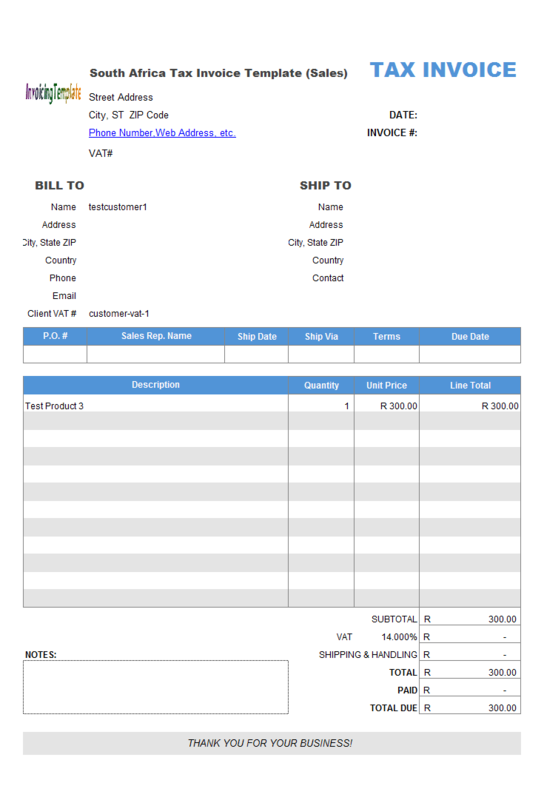 Note that if you have our invoicing software program installed, each product could have an ID, which allows you to quickly enter the product description and unit price into the printable invoicing form by entering the product ID. This feature is called in-cell lookup. 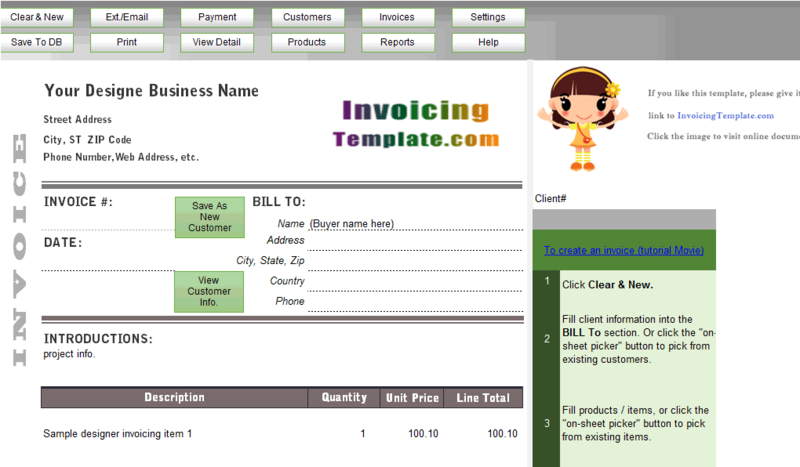 All the Excel invoice templates here on InvoicingTemplate.com support this functionality.